AC Milan striker Gonzalo Higuaín said on Thursday he was not bitter despite being "kicked out" by Juventus after superstar Cristiano Ronaldo's arrival last summer. Juventus signed Higuaín from Napoli for 90 million euros (US$103 million) in 2016, but after the surprise arrival of Ronaldo from Real Madrid for 100 million euros (US$115 million) this summer, the Italian giants could not afford to keep the Argentine. 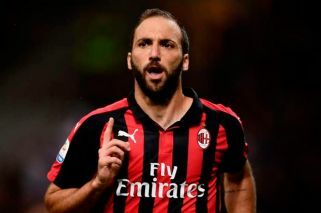 Higuaín – loaned to AC Milan with a 36-million-euro option to buy – said he knew something was afoot when he was left on the bench for the Italian Cup final against AC Milan in May. "That day, I had the feeling inside me that maybe something had broken down. And then they signed Ronaldo," Higuaín said in an interview with Gazzetto dello Sport. 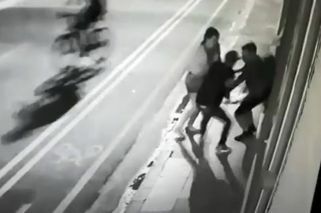 "The decision to leave was not mine. I gave everything for Juventus, I won several titles, after which Cristiano arrived. The club wanted to make a leap in quality and they told me that I could not stay and that they were trying to find a solution. The best solution was Milan." But Higuaín said that he felt no thoughts of revenge against his old club where he won two Serie A and Italian Cup trophies. "No, not at all. I only feel affection because they treated me very well," said the 30-year-old. "My teammates and the fans treated me really well, but I never asked to leave. Basically, as everyone says, they kicked me out. I immediately felt great love from Milan and they convinced me." 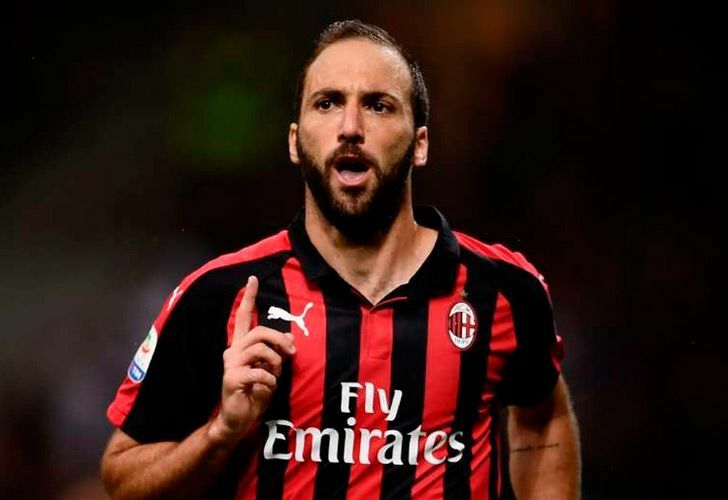 Higuaín – who will take part in his first derby against city rivals Inter Milan on Sunday – has scored four goals for Milan to bring his tally to 115 since his arrival in Serie A in 2013 from Real Madrid. "Milan have given me something more after a World Cup which wasn't great," he said. "I've found what I was looking for." Higuaín joined Napoli in 2013 after six years with Real Madrid where he won three La Liga titles. But he blamed Napoli President Aurelio De Laurentiis for leaving the club on bad terms. "[Ezequiel] Lavezzi left on bad terms, [Edinson] Cavani the same. With [coach Maurizio] Sarri on the bench he was already contacting another coach," he said. "Everyone has had problems with him and people insult others. I have nothing negative to say about the Napoli fans, those were three beautiful years. They loved me and now they hate me. One day I'll say what I think, but right now I can't."